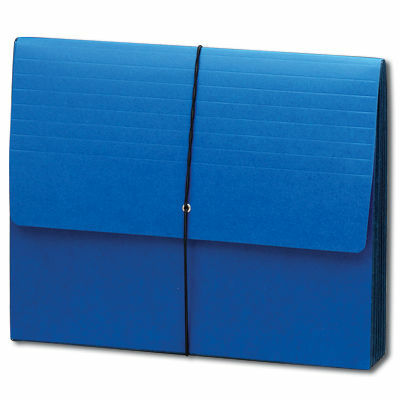 Top tab file folders fit neatly inside without bulging out the side gussets. Perfect for use as a complete client file in law, advertising or architectural firms. Protective flap with elastic cord closure ensures that contents stay put.